Might have been a stocking error but the one that came had pressouts in the plastic back for both 50 & 80mm fixings so would fix either size. Uses two AA bateries (not one as stated elsewhere) so battery life should be ok. Batteries are mounted in a line - on a previous rear lihght of a different make this was a problem as the contact in the middle between the cells was prone to not making well - time will tell how this one ages. I'm not convinced how rainproof it is - it looks ok but there is no gasket seal and moisture could easily get in around the switch. Again time will tell. On the plus side the lens piece is fixed with a screw so perhaps won't have the problem of getting loose and falling off on potholed cornish lanes as the previous one did. NB no flashing mode - just on/off. I fitted this to my rack although the design allows for a variety of fitting widths. Excellent quality, very bright and can be seen from the side. No flash facility of course as flashing bike lights are illegal in Germany. Very pleased: we have bought several. 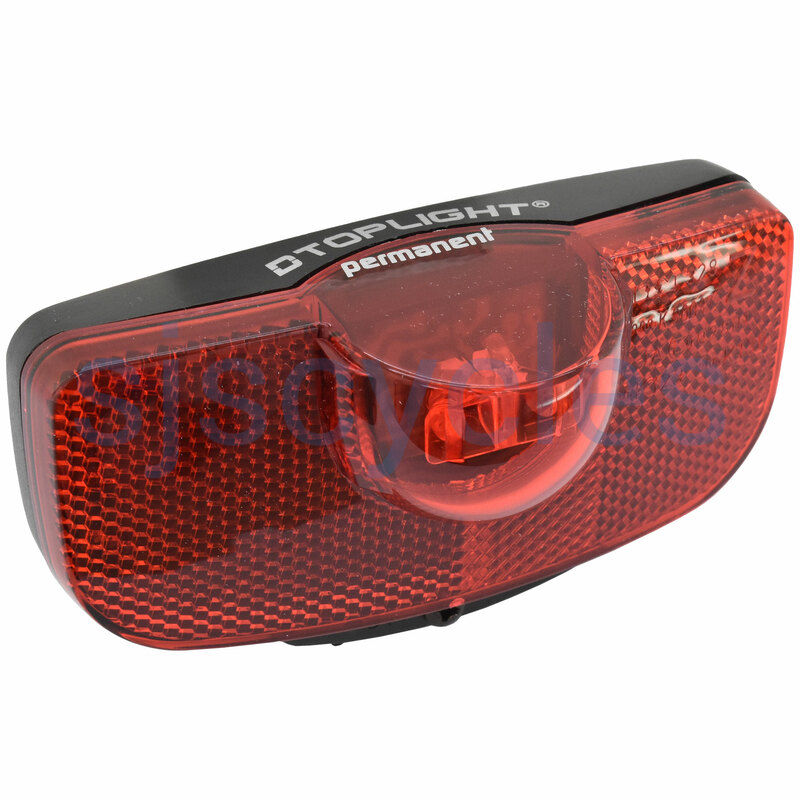 Bright, strongly made, works as light and reflector combined. Nice positive switch so doesn't get knocked on by mistake. Securely and easily fitted to the plate on the back of a pannier carrier (although on one child's bike there is barely enough room between carrier and mudguard, so be aware).